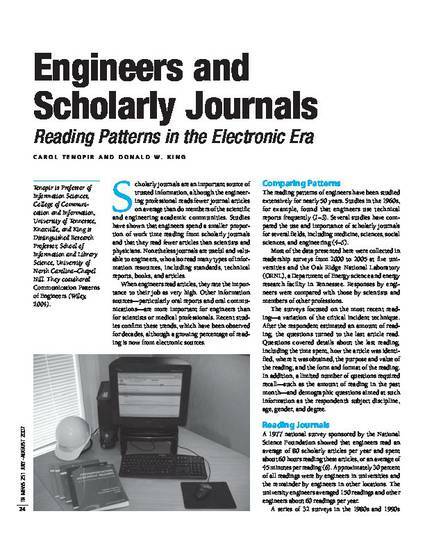 Scholarly journals are an important source of trusted information, although the engineering professional reads fewer journal articles on average than do members of the scientific and engineering academic communities. Studies have shown that engineers spend a smaller proportion of work time reading from scholarly journals and that they read fewer articles than scientists and physicians. Nonetheless journals are useful and valuable to engineers, who also read many types of information resources, including standards, technical reports, books, and articles.